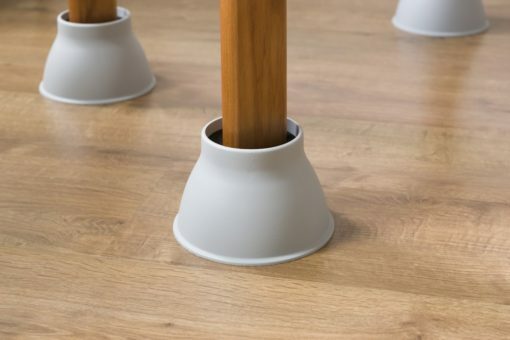 Place under chairs or bests to raise the height. Simple but strong, one piece grey plastic. The extra wide top will support most types of furniture leg and a central recess allows caster to safely locate for stability.